Bunny Burson is a St. Louis based artist working in different media with text as a unifying theme. 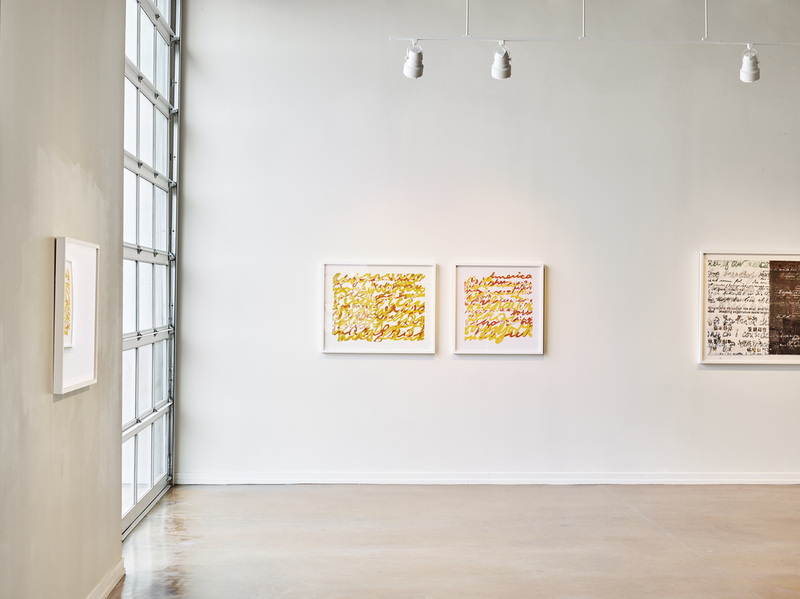 In this show she exhibits work on vellum, aluminum, mylar and paper. 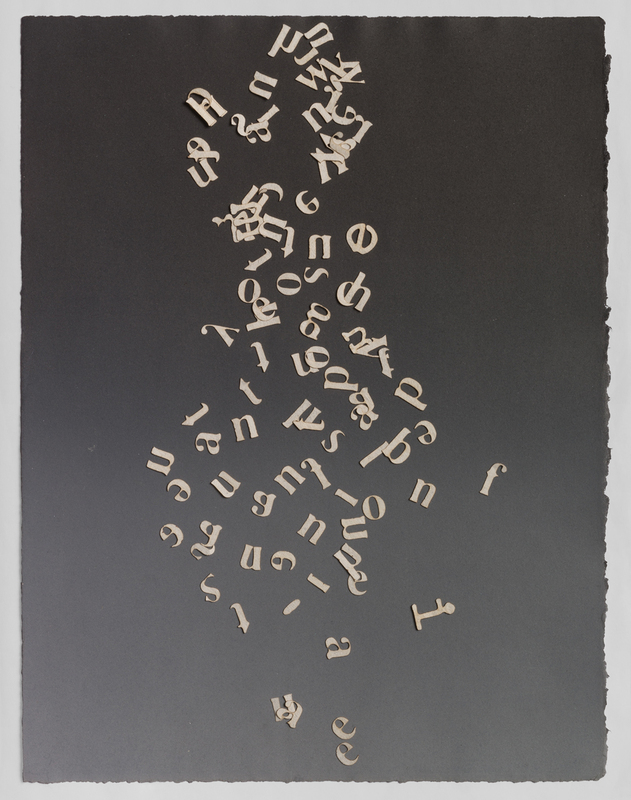 Her work in this series was inspired by over one hundred letters she recently uncovered in the attic of her family home. The letters were written in German from 1939-1941 by her Jewish grandparents in Europe and sent to her mother and uncle in Memphis, Tennessee. She uses their text to capture the hope and desperation of her grandparents, as they sought to be reunited with their children. 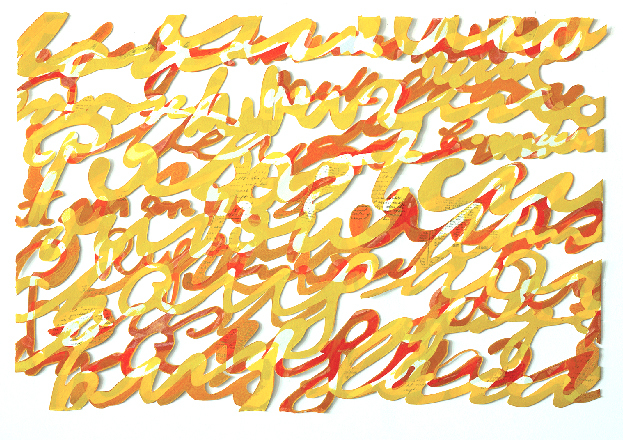 In repeatedly drawing and printing their script, her hand became one with theirs. Although very personal, her work reflects that desire we all have to discover who we are through those who came before us.